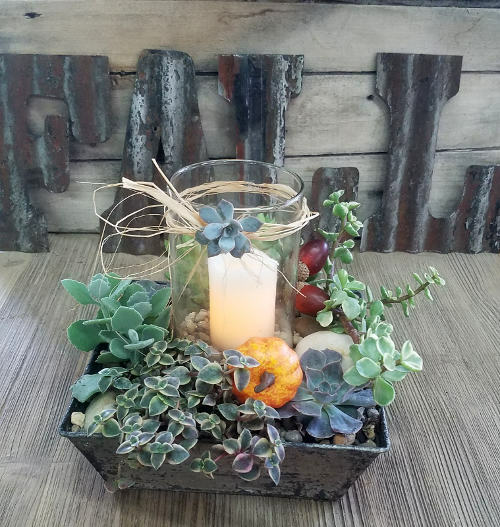 Create a beautiful fall Succulent Centerpiece that will look great all through the fall and Thanksgiving season. We will show you how to create your own beautiful, living succulent centerpiece. All materials will be provided, including an 8" container, glass vase, electric candle, and a selection of suitable succulents. We'll discuss how to keep your succulent centerpiece looking great through the fall season and beyond.